As the global resource for information on vertical flight technology, the Vertical Flight Society is pleased to present Vertipedia. Vertipedia's primary objective is to become the premier "one-stop" source for comprehensive reference data and information on vertical flight. A comprehensive, frequently updated source of information on vertical flight. 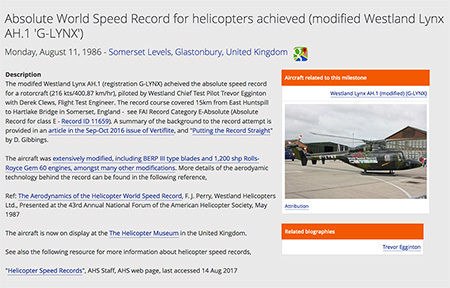 Vertipedia provides high-quality information on current and historical aircraft, as well as notable milestones in the history of vertical flight and biographical information on the people who made them happen. A means to add value to AHS membership, not only by providing another useful member resource, but also by encouraging participation and discussion. You may ask: what does Vertipedia provide that is not already available on the internet? Other public databases do not have in-depth technical information on aircraft, or only provide it for one or two representative models. Nor do they provide a clear way to explore the relationships between vertical flight aircraft, historical milestones associated with them, and the people who tie them all together. Vertipedia leverages information from AHS publications and approved (public) manufacturer data to provide a comprehensive snapshot. Every piece of data is referenced to the most reliable source possible, which can be checked and updated as better data is made available or information changes. One of Vertipedia's most important features is the powerful search engine, which returns results from AHS proceedings, Vertiflite articles, articles from the Journal of the AHS and the VFS website, as well as a range of academic and US government databases. 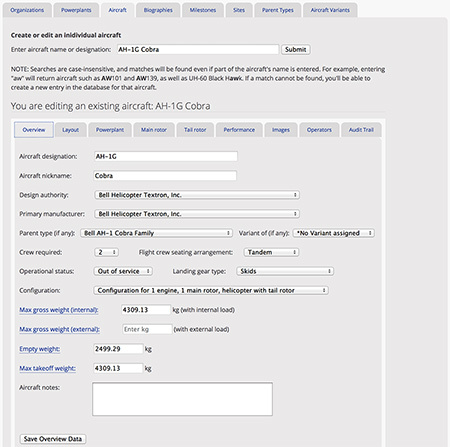 This unique feature is another valuable resource for vertical flight researchers. How can you help Vertipedia grow? One of Vertipedia's key strengths is that it was built around a structure that enables related data to be easily linked together. A design principle was also to minimize any need for special training to use the database or contribute to the data. 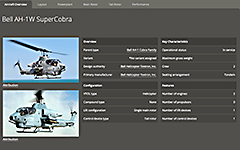 Users can easily build complete data sets for individual aircraft and related biographies and milestones – not simply generic data representative of a type or family. This means you can participate right now. Vertipedia needs your expertise! Any database is only as good as the data it contains, and Vertipedia is no different. Your help with research, data entry and referencing is critical to Vertipedia's continued growth. Testing, error tracking and thoughtful, constructive feedback will also make Vertipedia a serious scholarly resource for VFS members. Please contact Betty Chen, Vertipedia Community Liaison, by email or at 1-703-684-6777 x102, to get involved or for more information. Thank you!